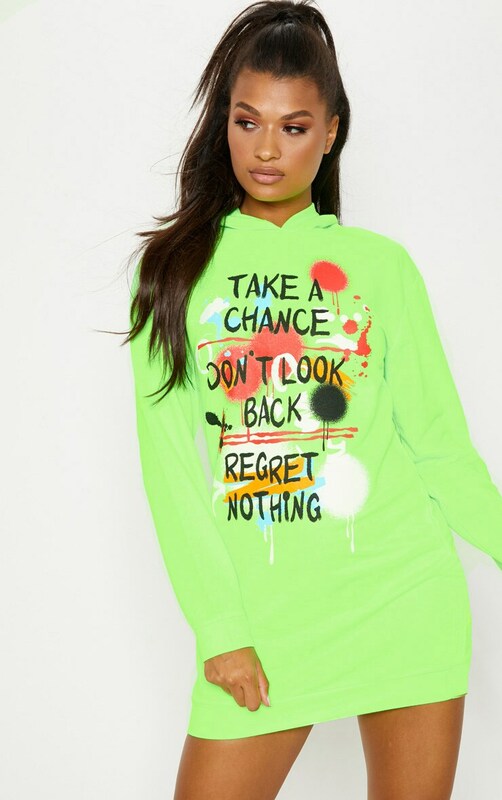 Yass, this head turning neon jumper dress is all kinds of goals! 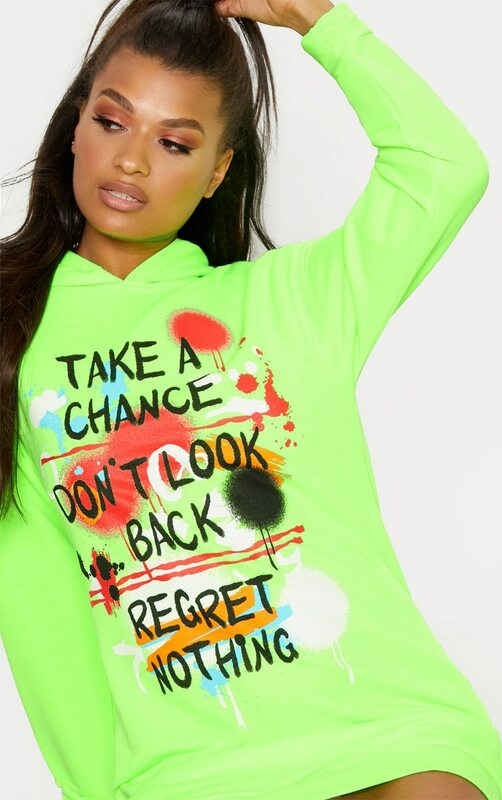 Featuring a neon green material with a graffiti solgan detail, hoodie and oversized fit. 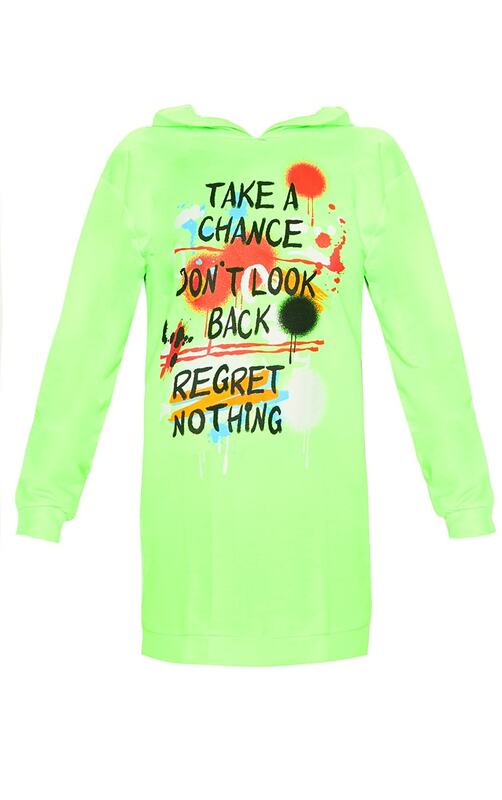 Dress this jumper dress up with lime strappy heels and go for a more cool vibe on your night out with besties.